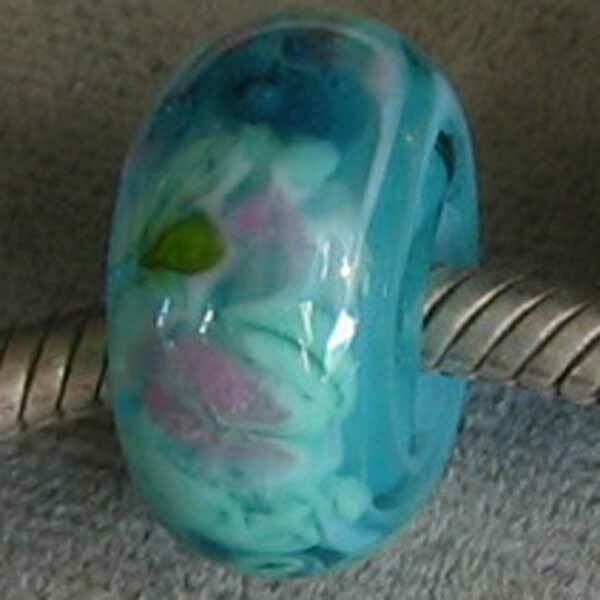 Here is a picture with many of my troll bracelet beads. 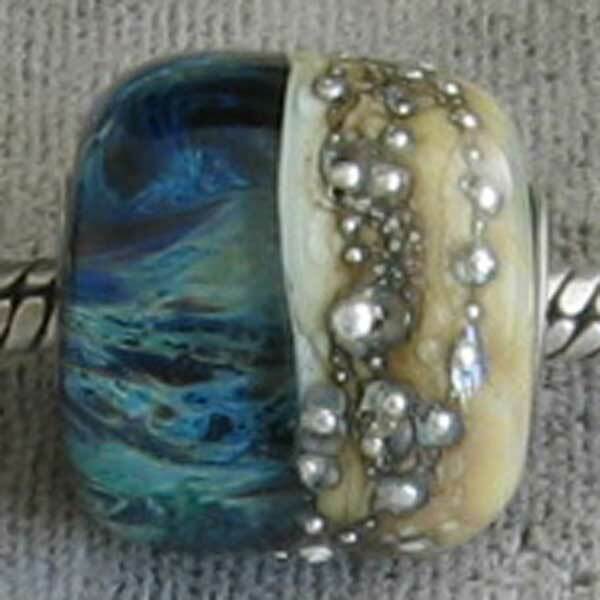 Please note that these sterling silver cored beads will only fit the Trollbeads chains. 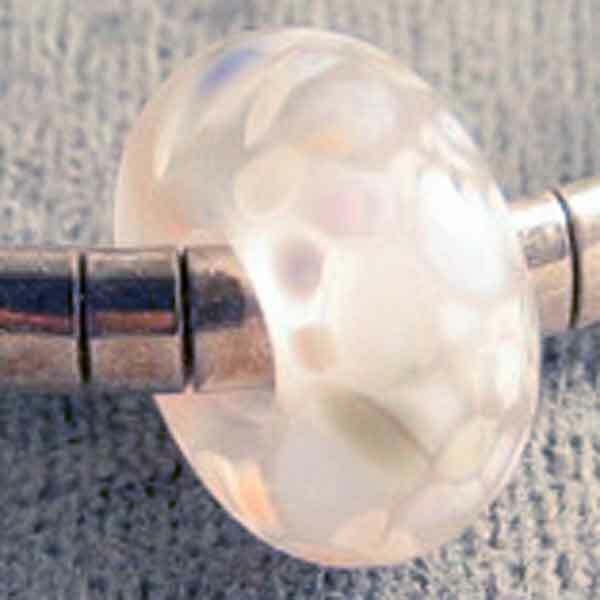 They have 4mm holes and will not fit the Panora chains. 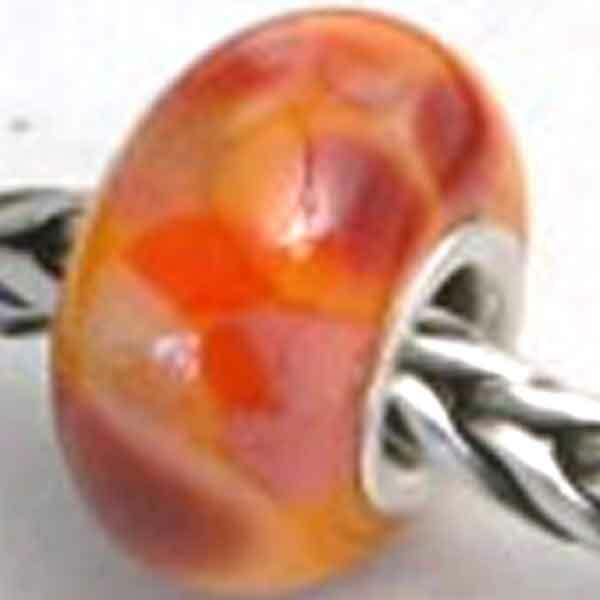 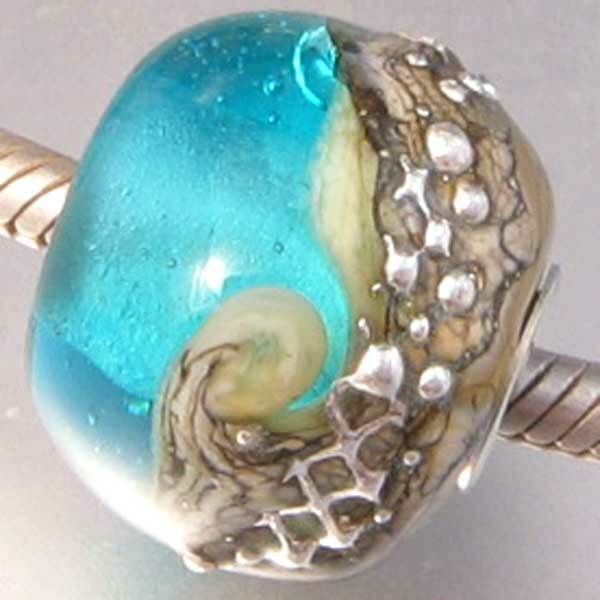 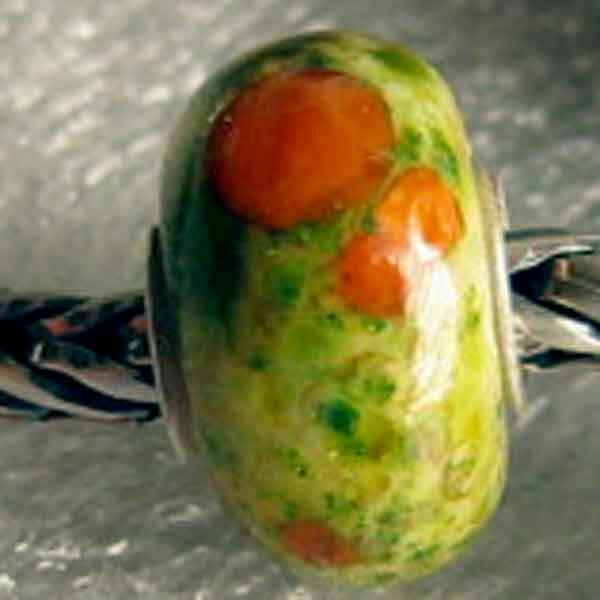 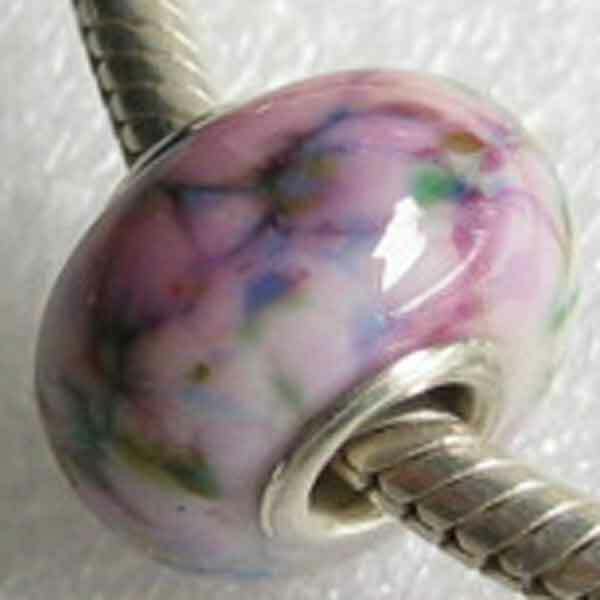 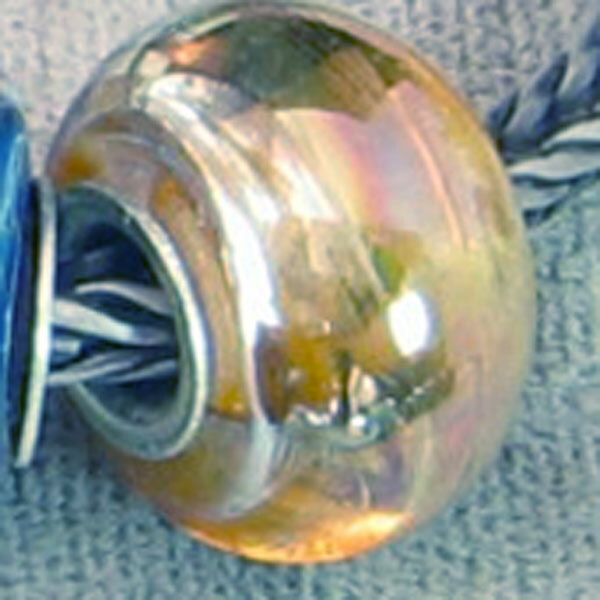 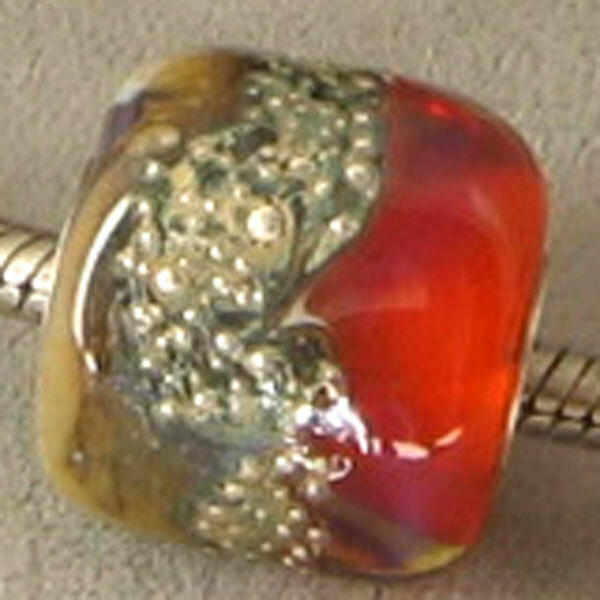 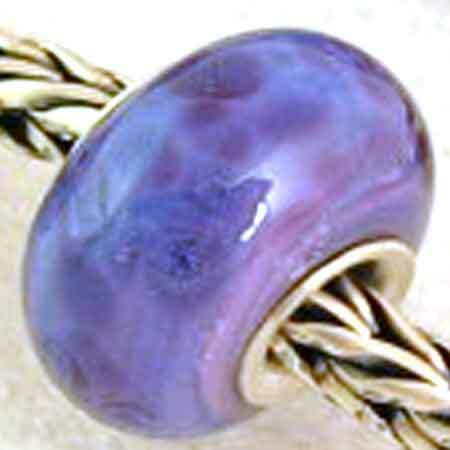 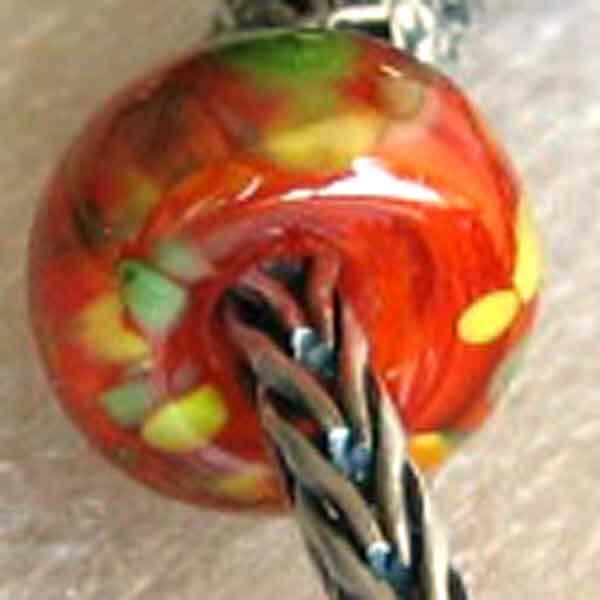 Beads in the following sections fits all European chains including the Trollbeads. 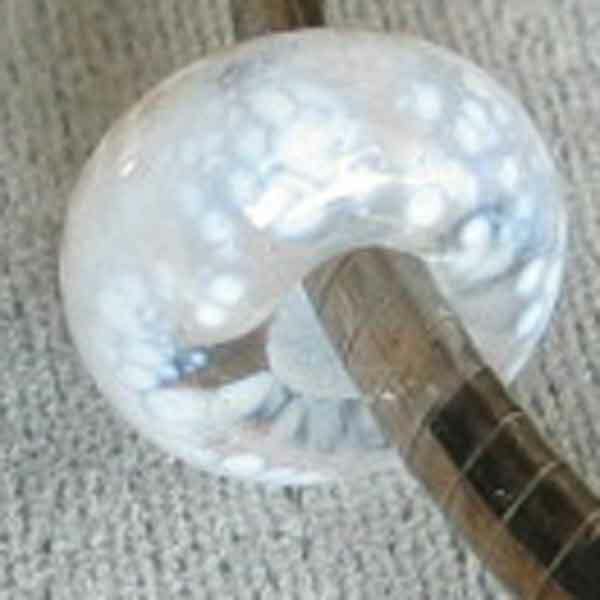 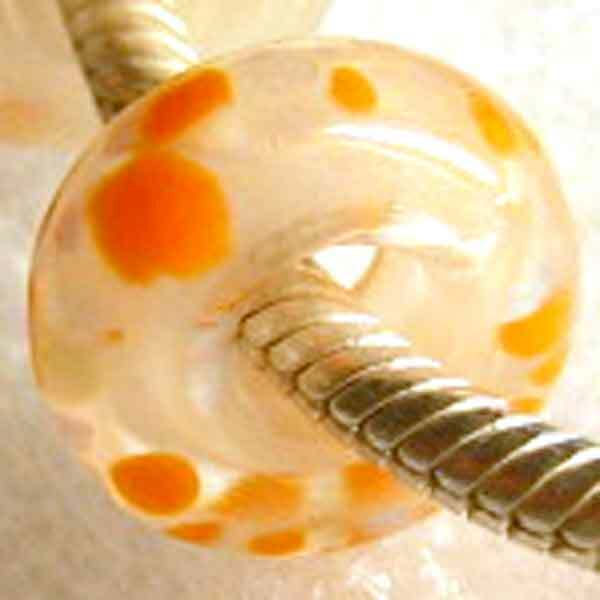 The bead diameters are 4.5mm or greater. 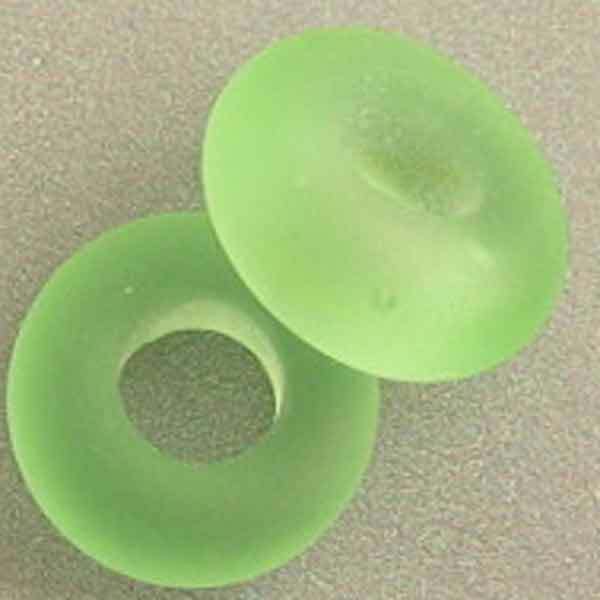 $9.50 for 2 Green Sea Glass Pandora Spacers. 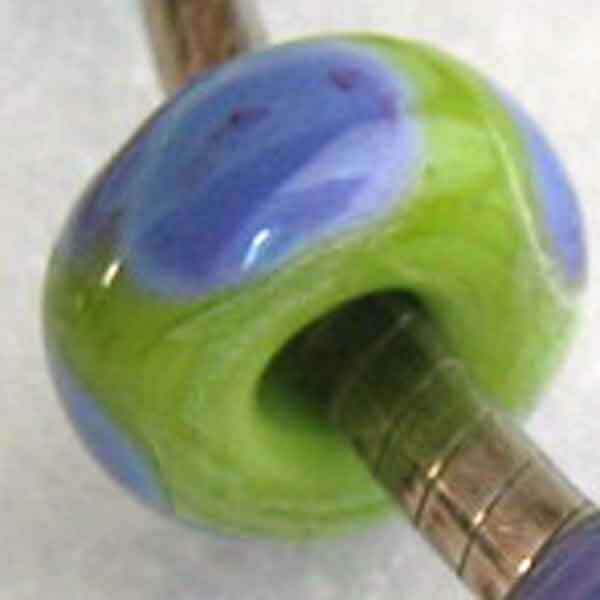 You can change quantity in the shopping cart. 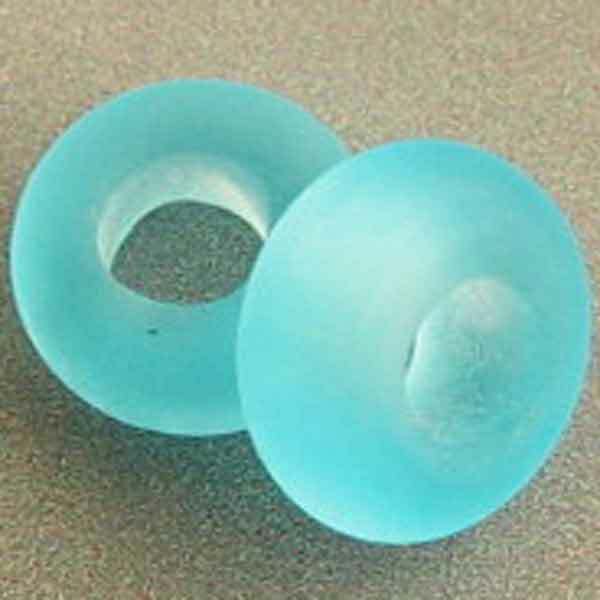 $9.50 for 2 Aqua Sea Glass Pandora Spacers. 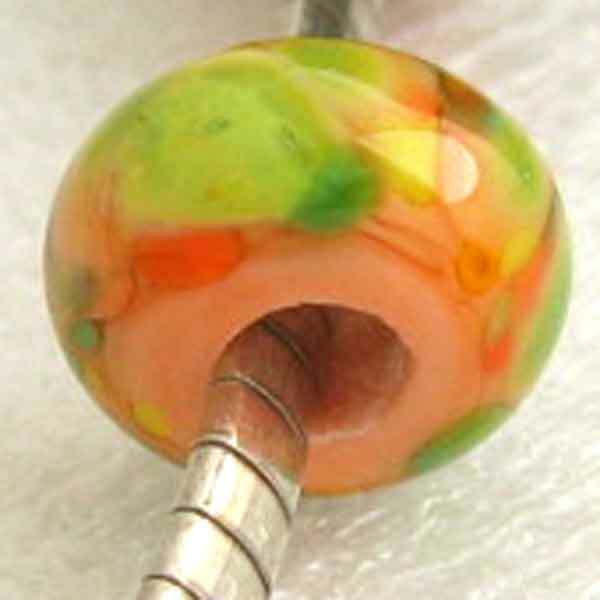 You can change quantity in the shopping cart. 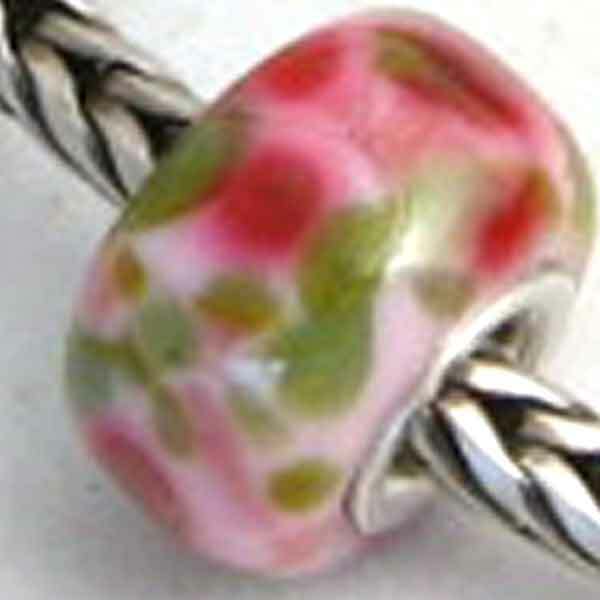 Below are sterling silver cored Pandora bracelet beads. 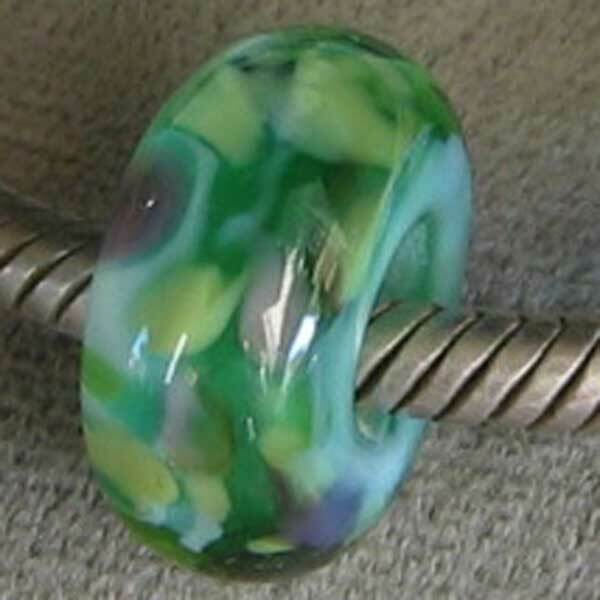 Some I can reproduce in similar design/colors. 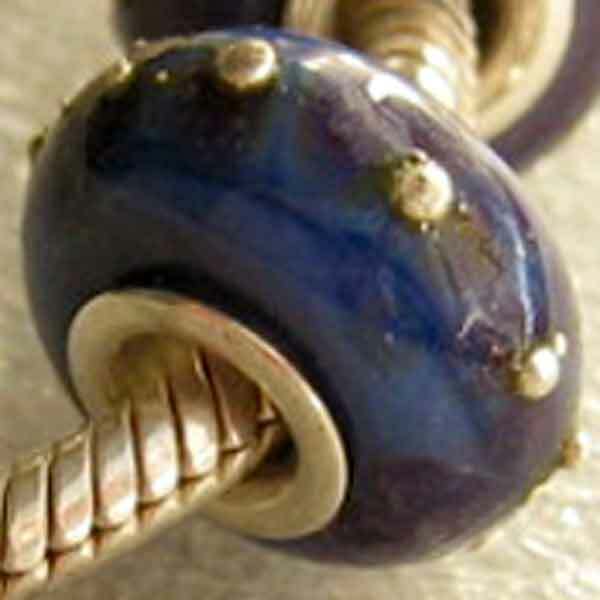 So if you want multiple quantity, change the quantity in the shopping cart. 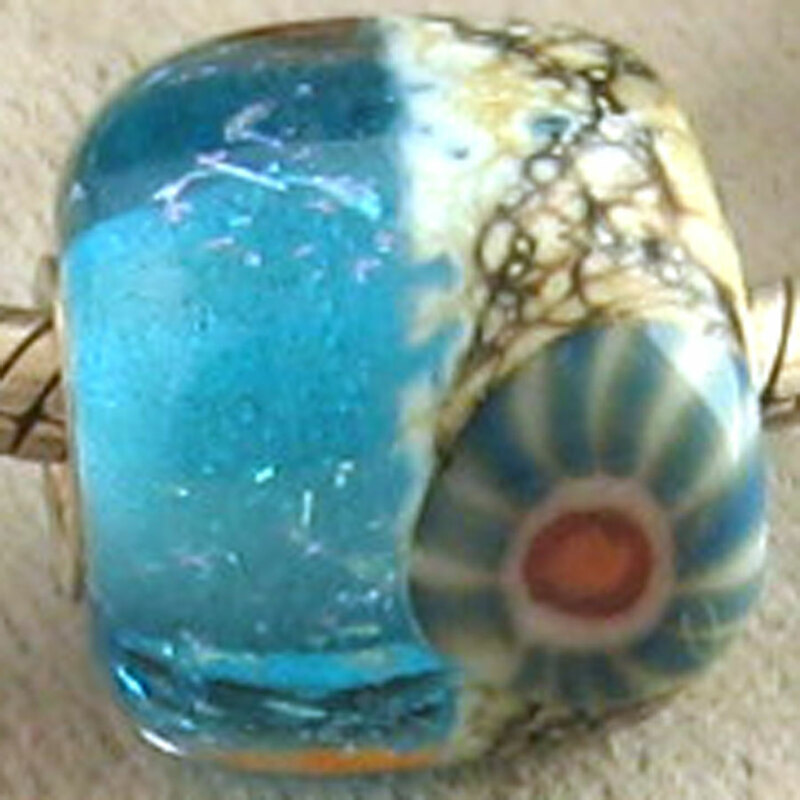 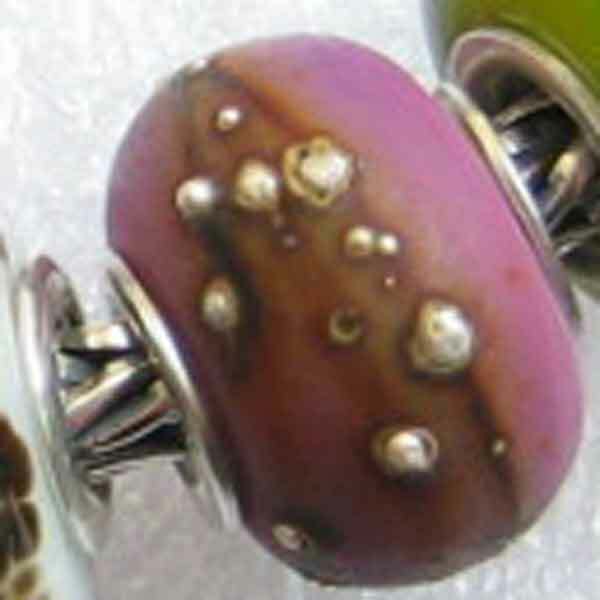 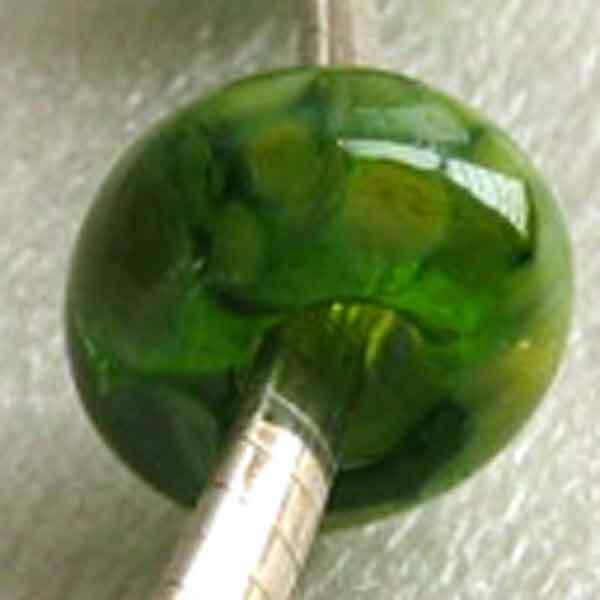 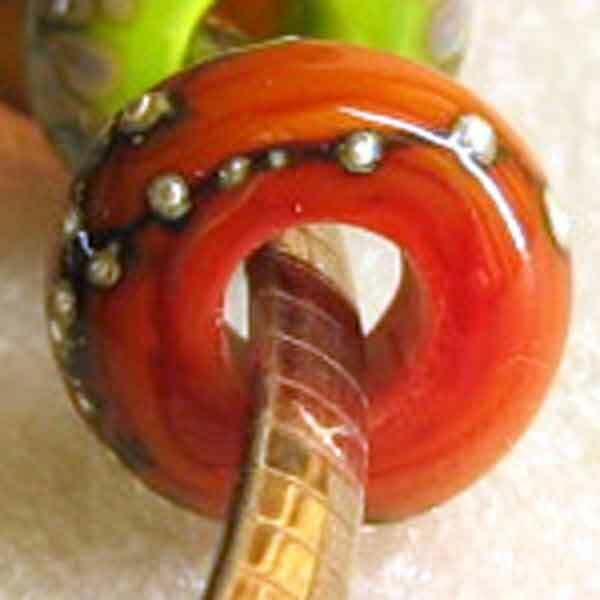 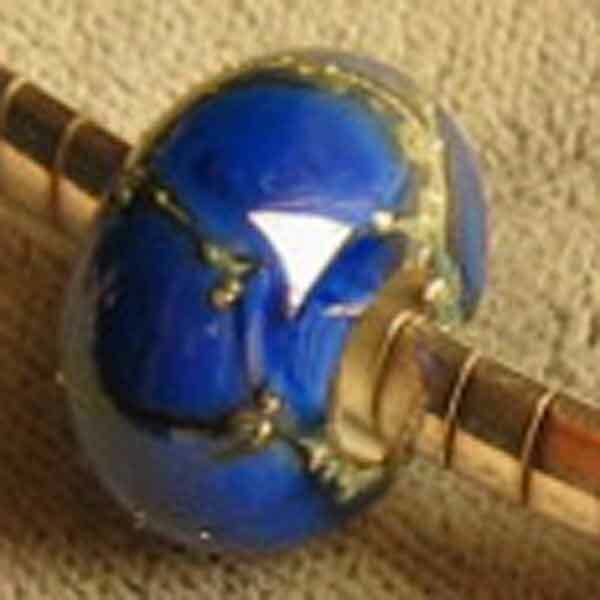 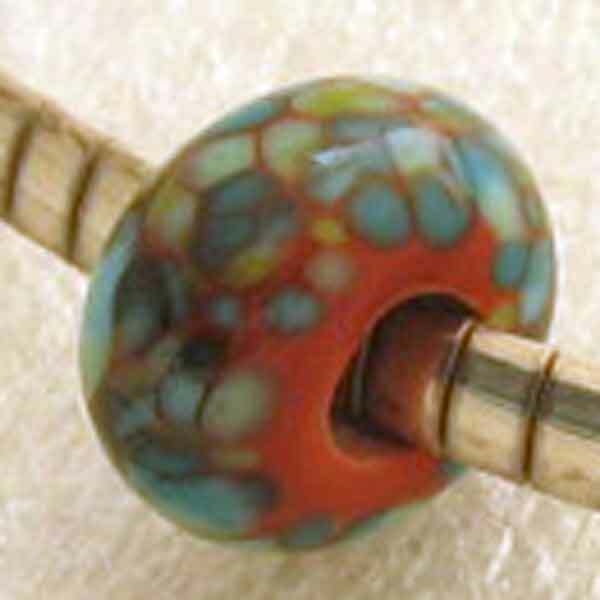 As all my beads are handmade and reproduction will result in beads similar to the ones pictured. 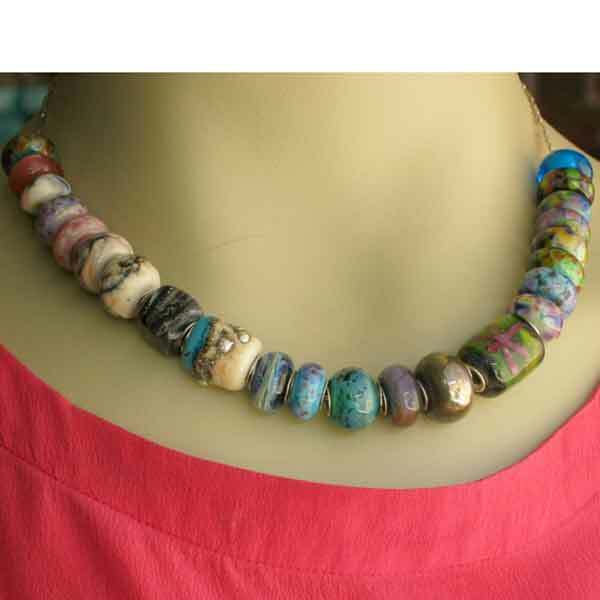 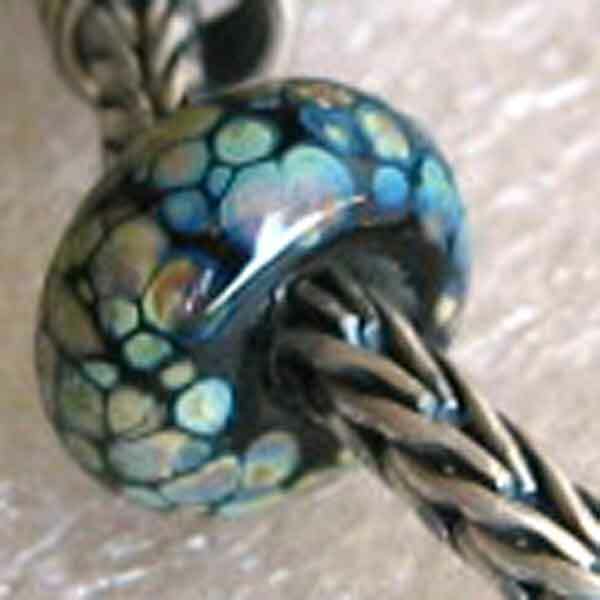 Most of the beads will look great as a slider on a necklace chain. 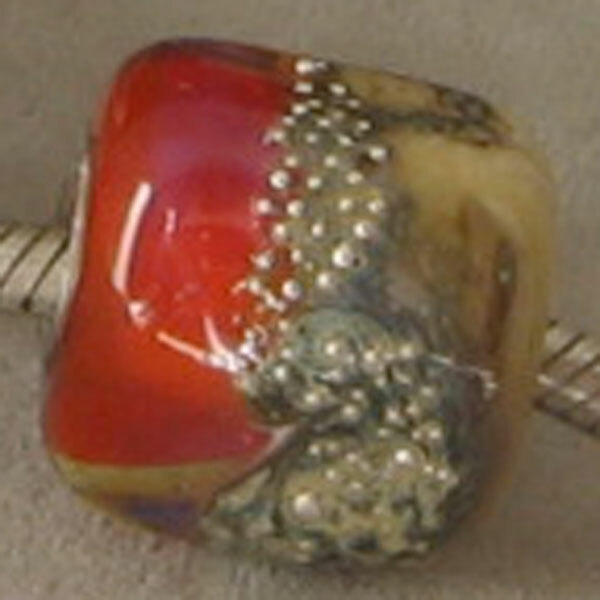 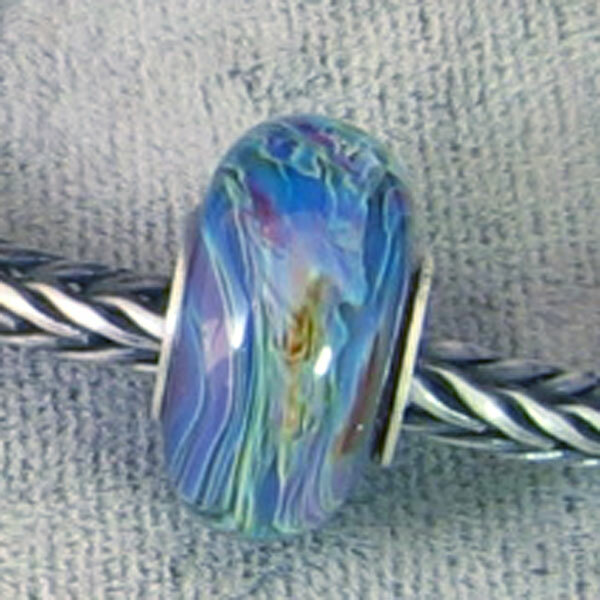 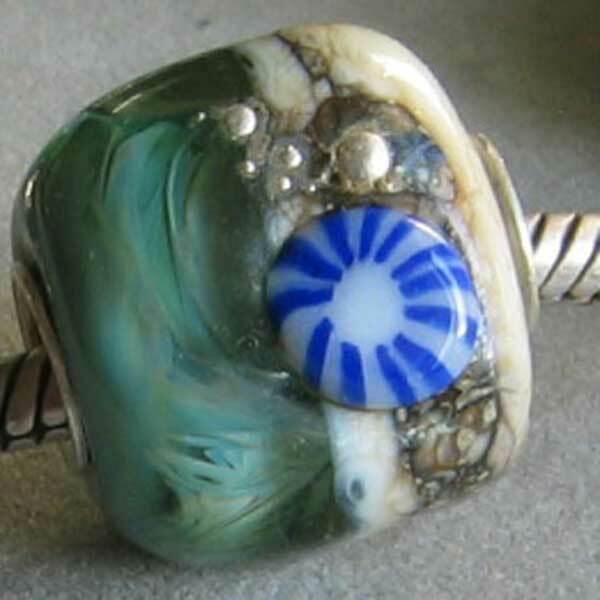 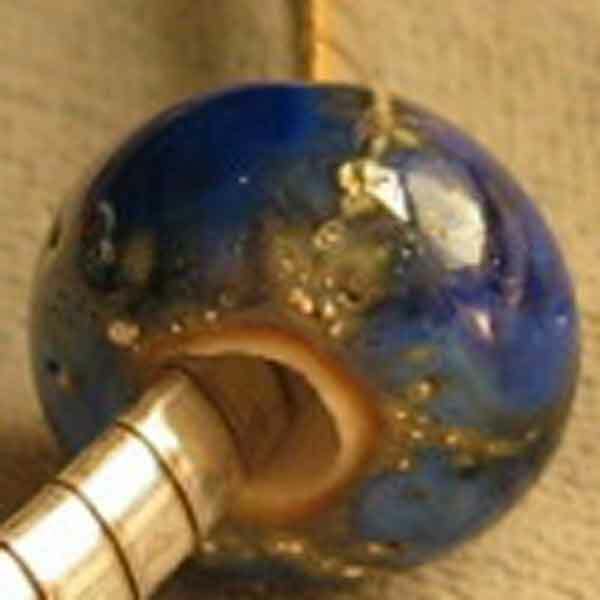 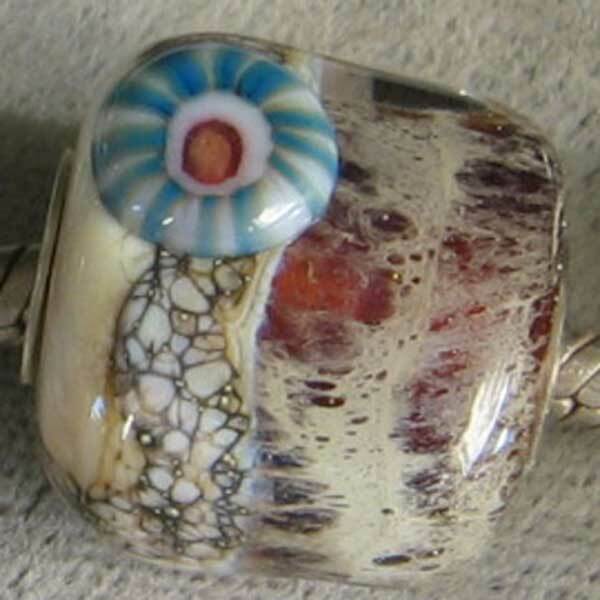 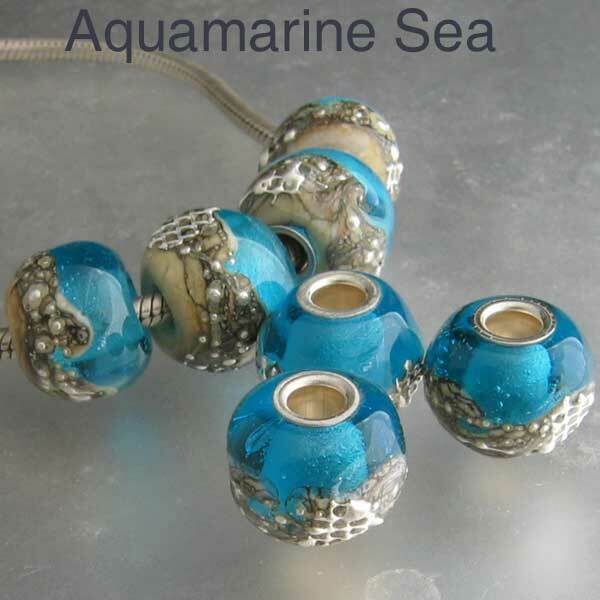 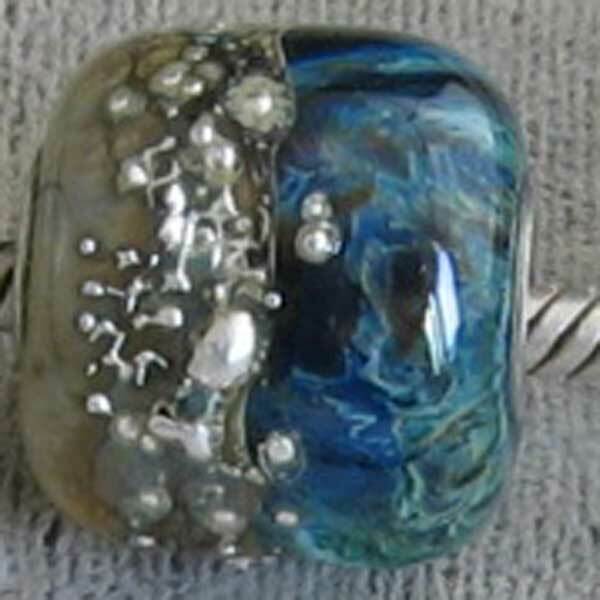 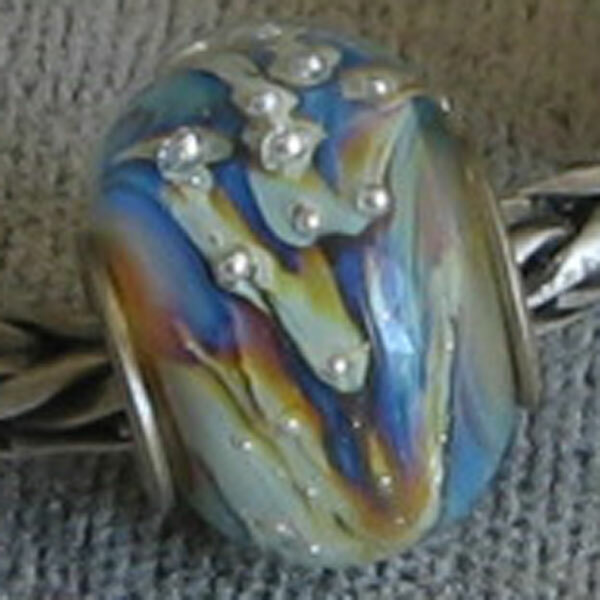 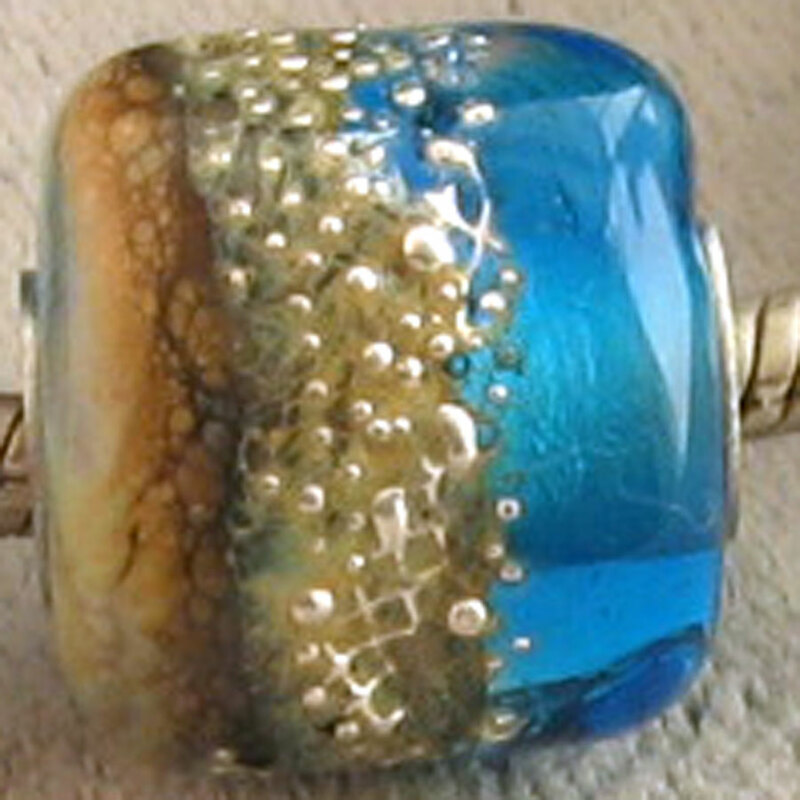 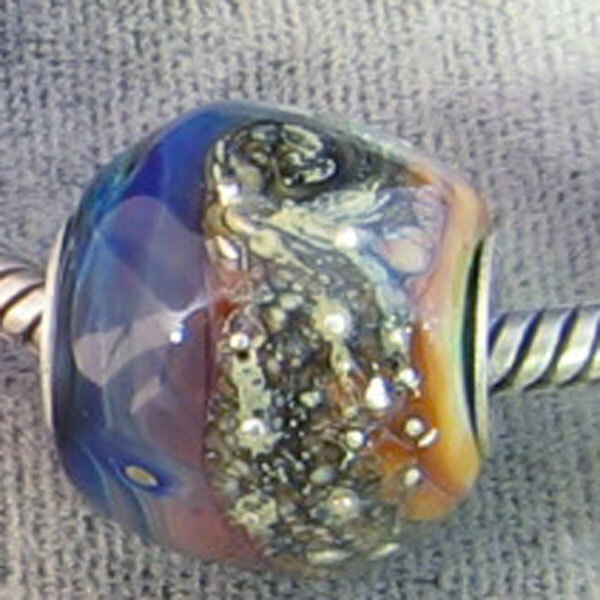 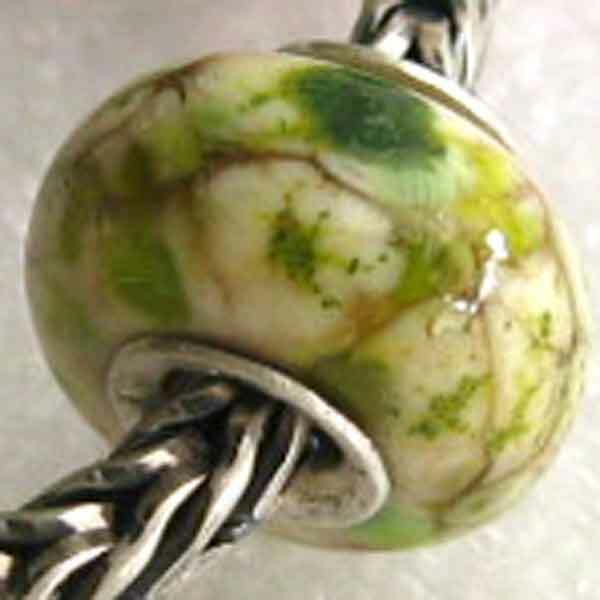 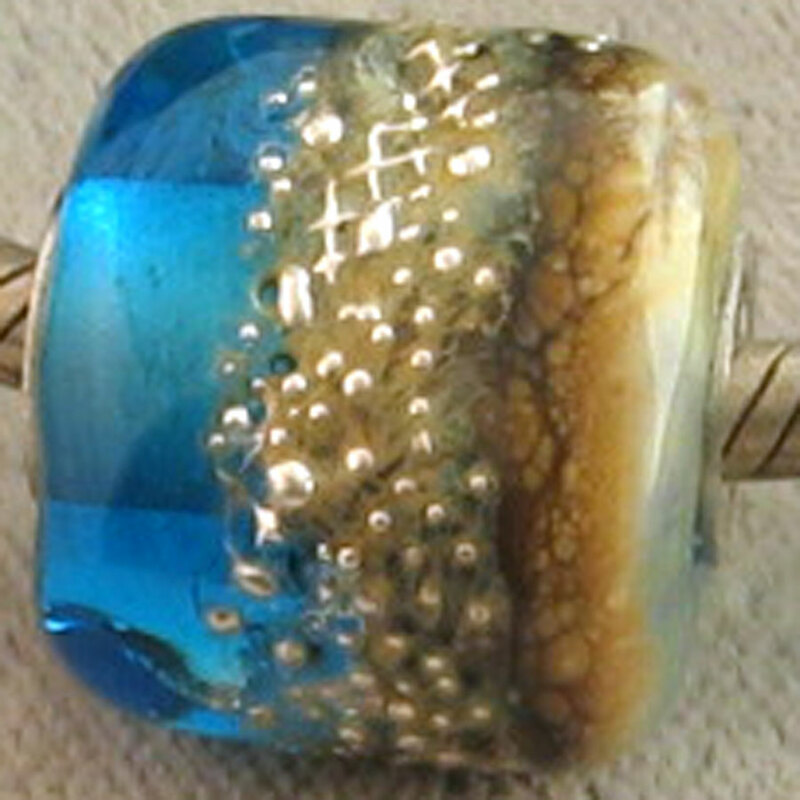 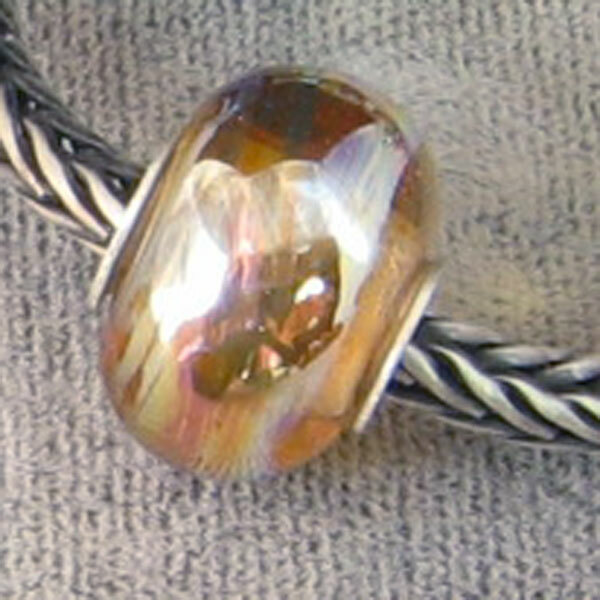 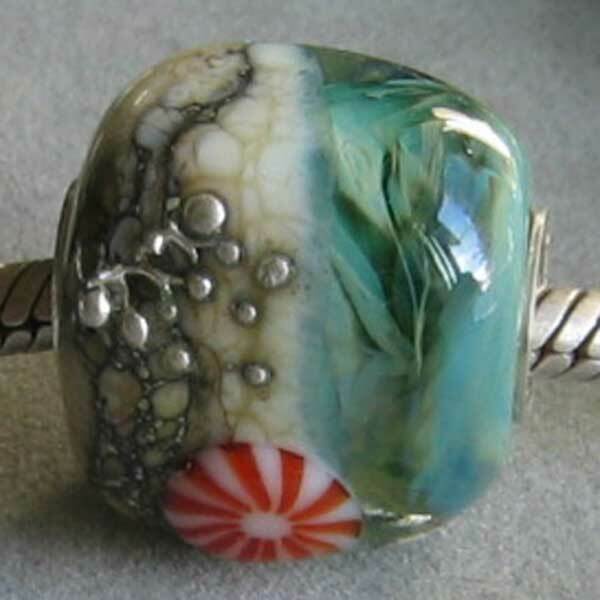 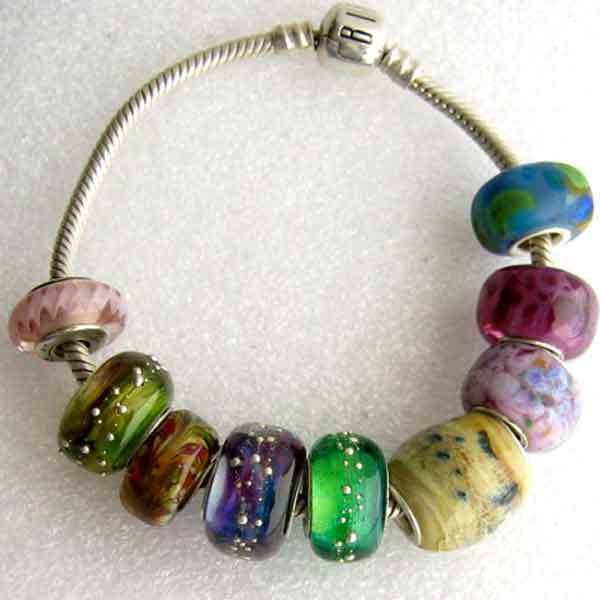 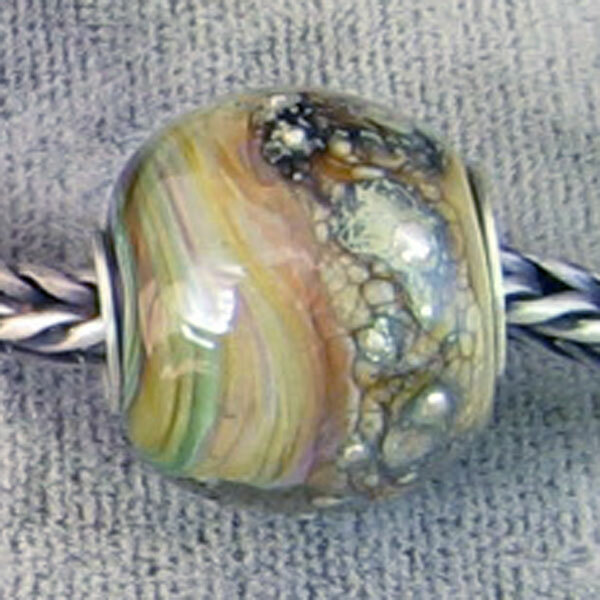 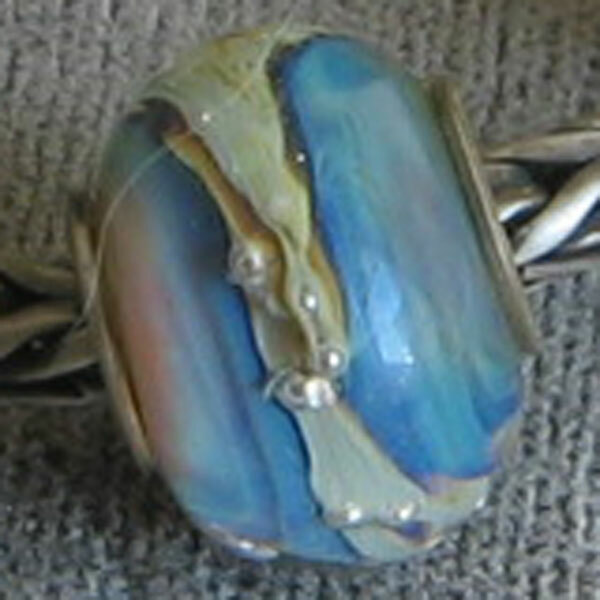 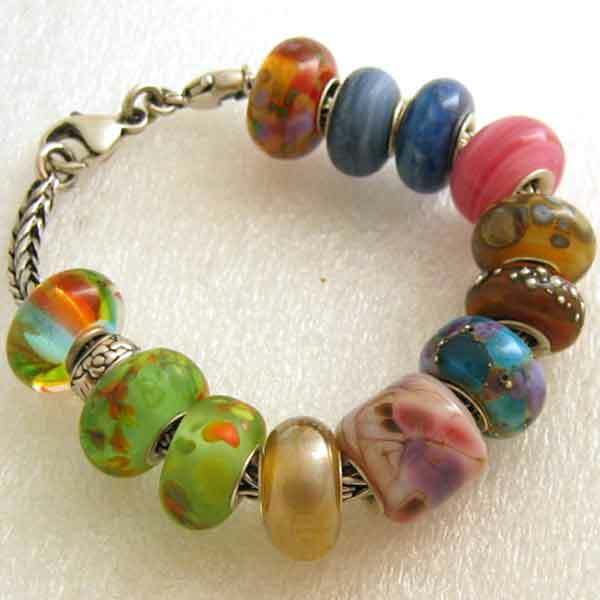 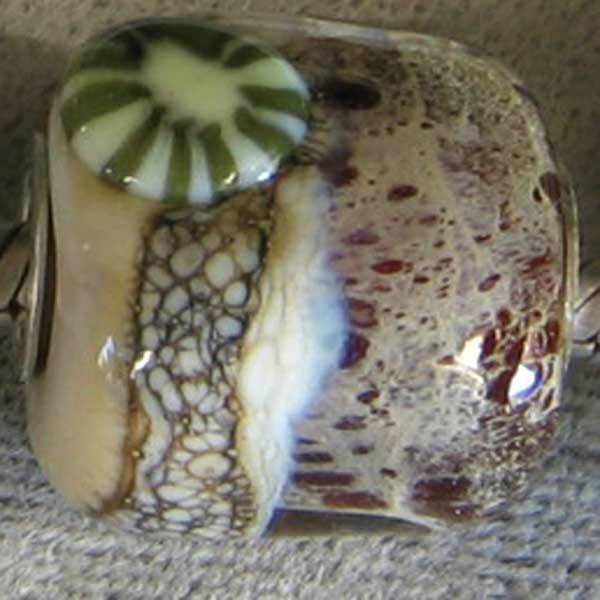 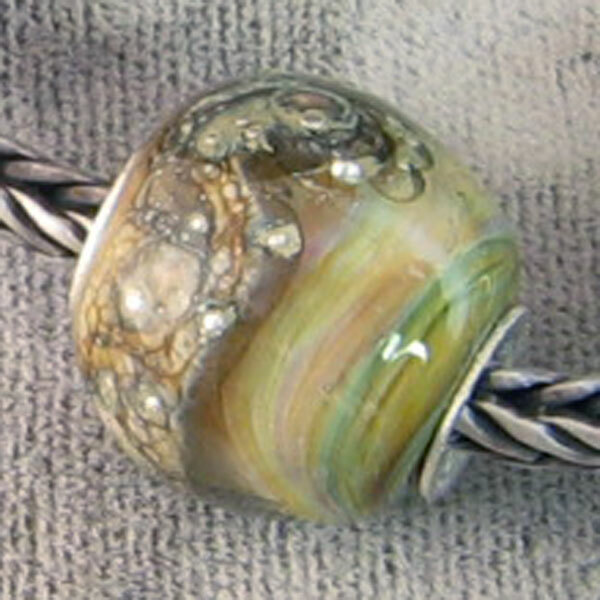 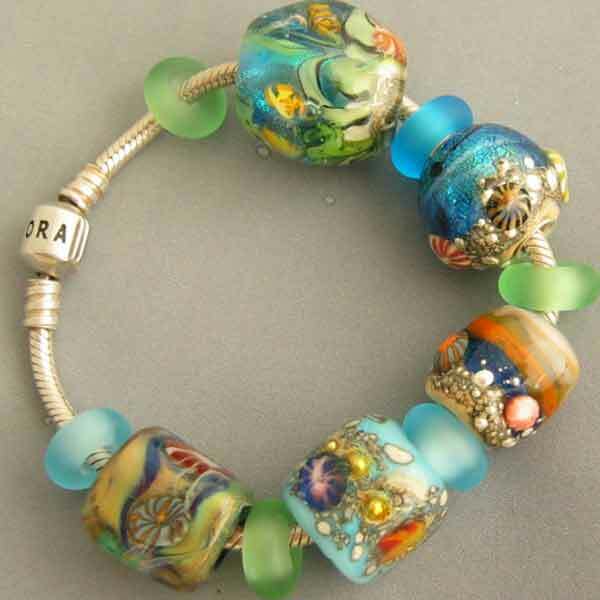 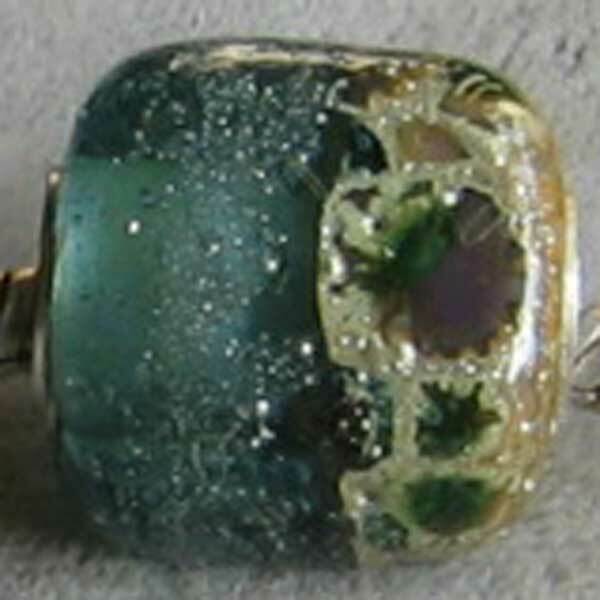 Many of these beads incorporate encased silver glass for the "faux" boro effect. 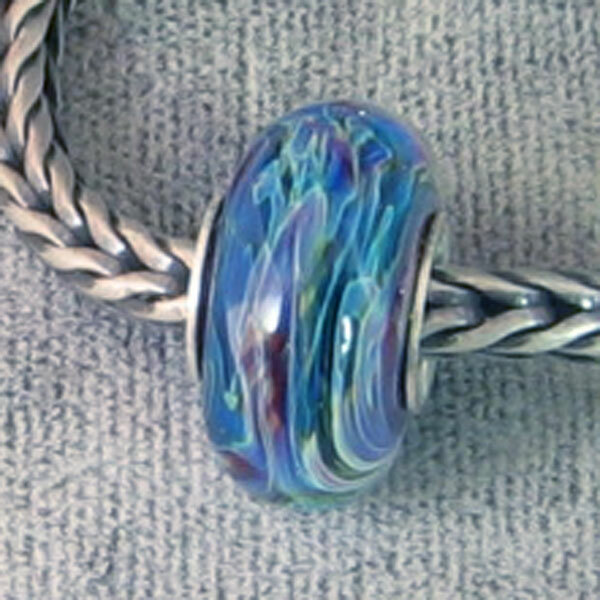 ...Pandora size will fit all European bracelets. 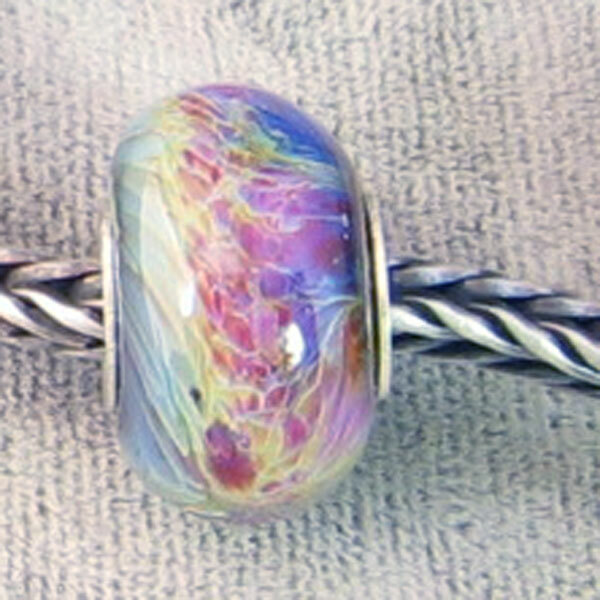 Here is a sample Biagi bracelet. 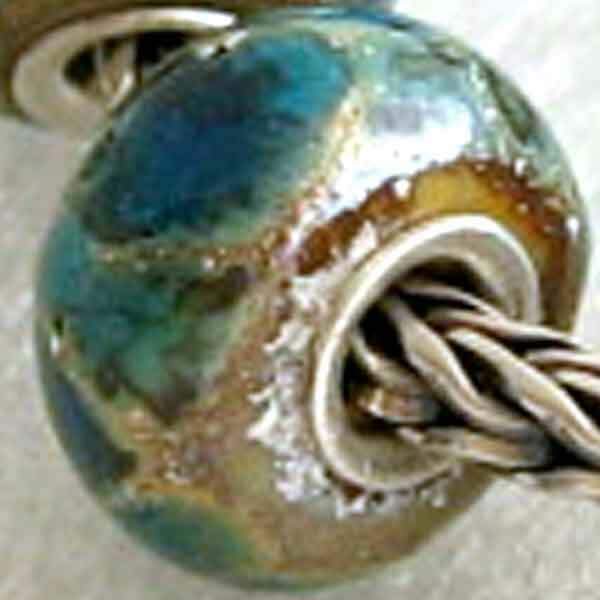 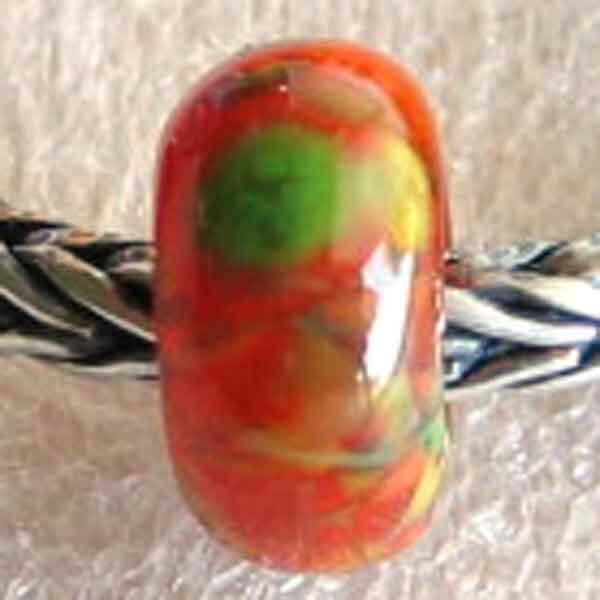 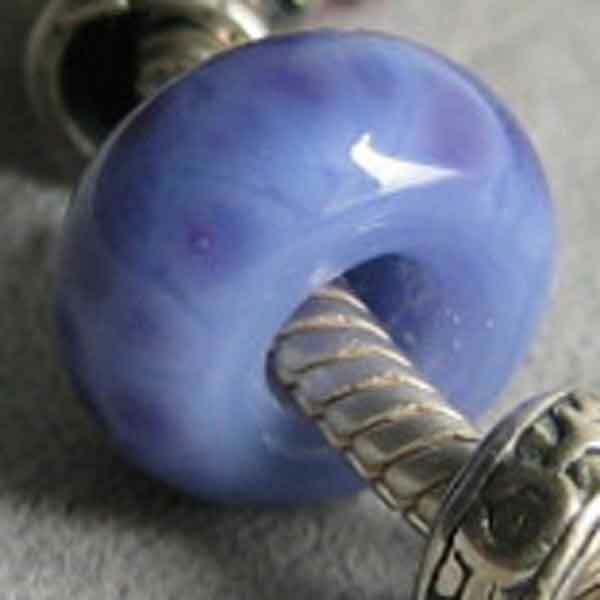 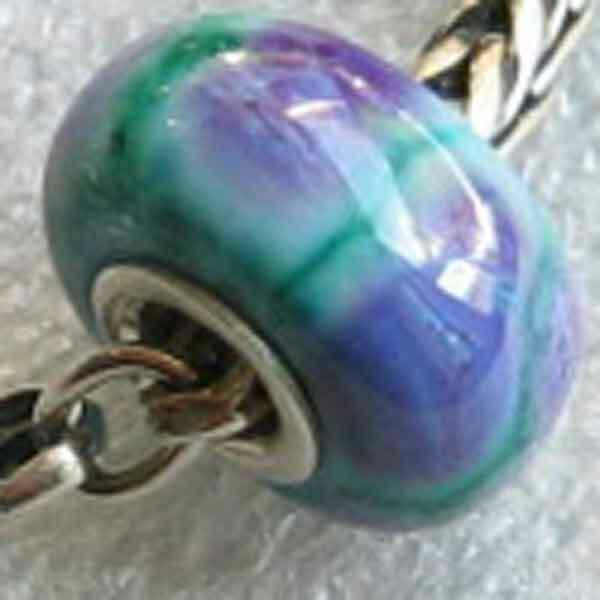 Please use the drop down menu to make your choice of Pandora or Trollbeads size beads and whether you prefer them with or without sterling silver coring. 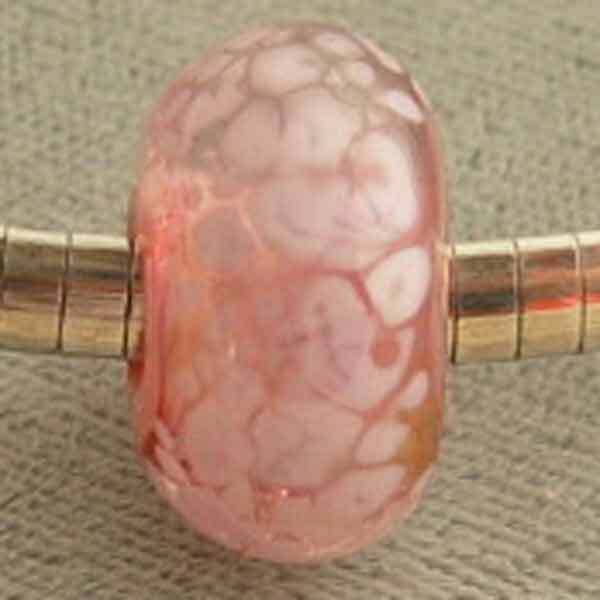 Based on peach coral and accented with frits. 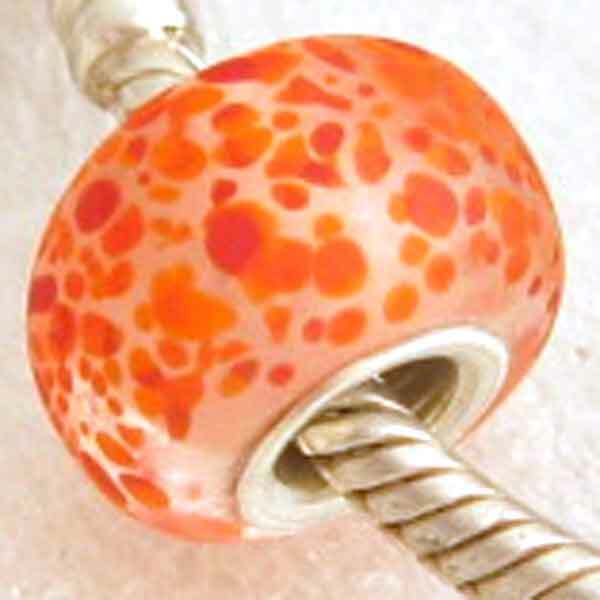 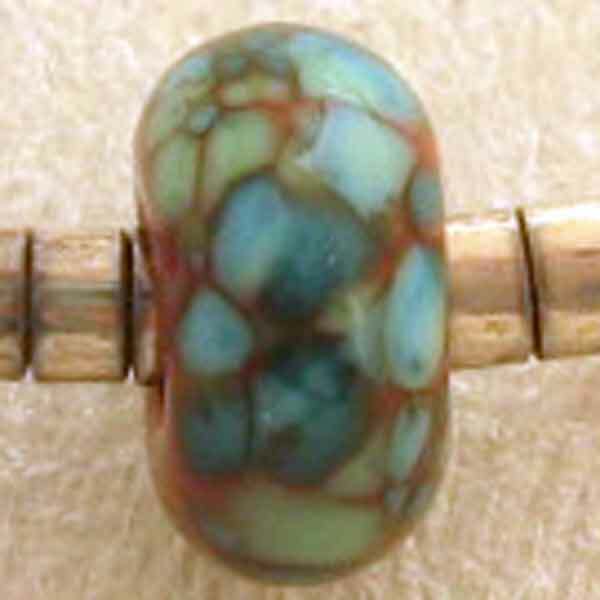 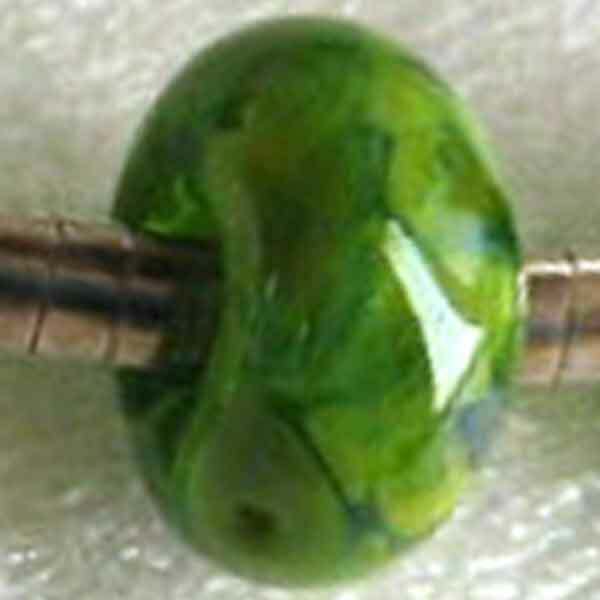 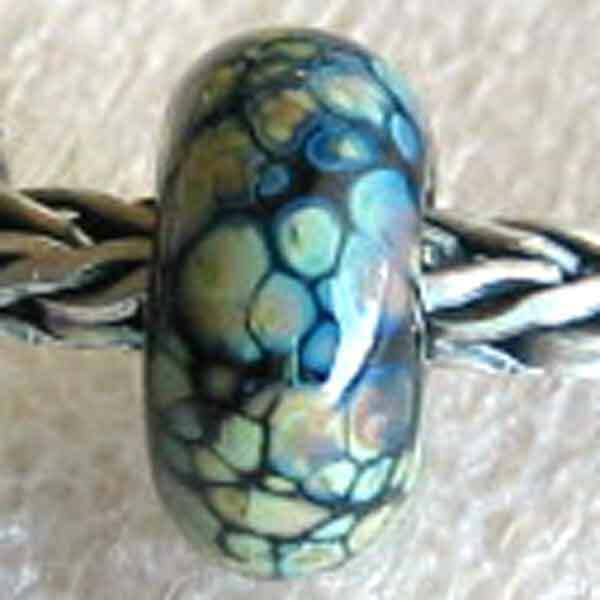 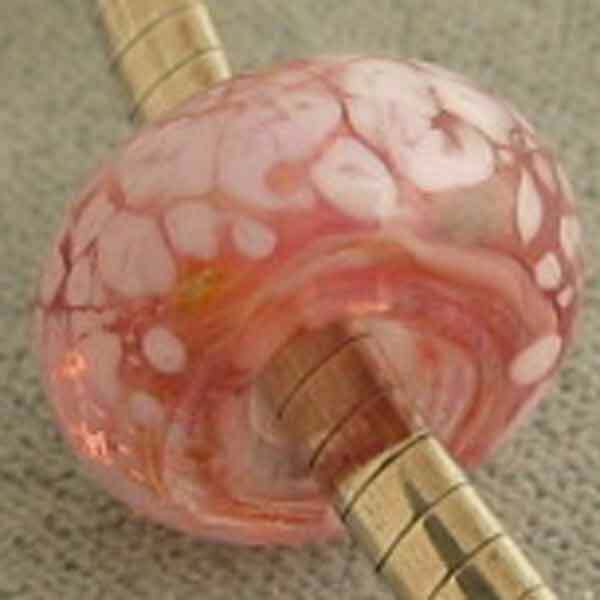 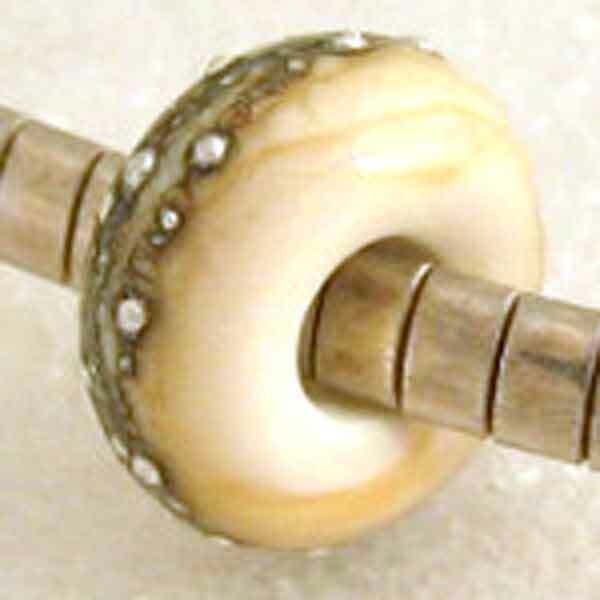 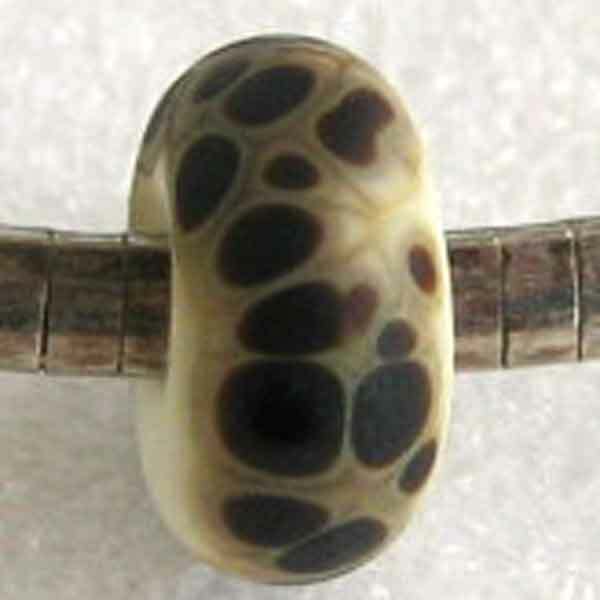 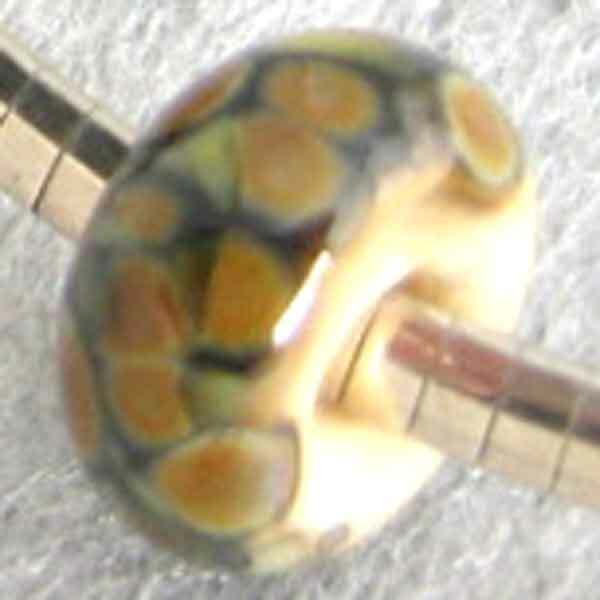 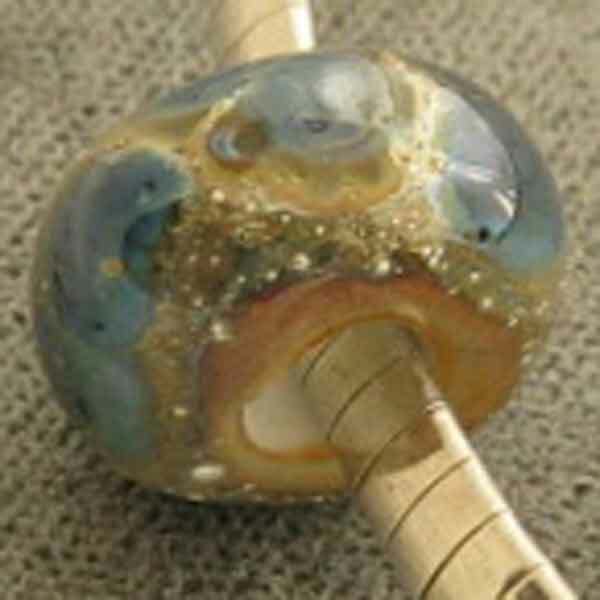 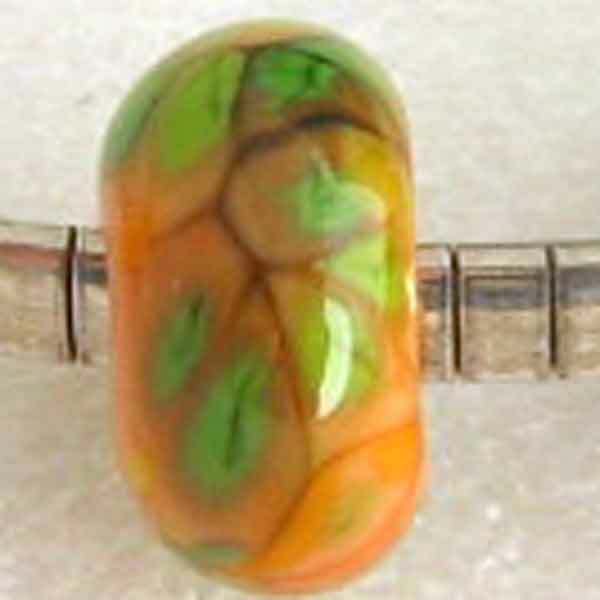 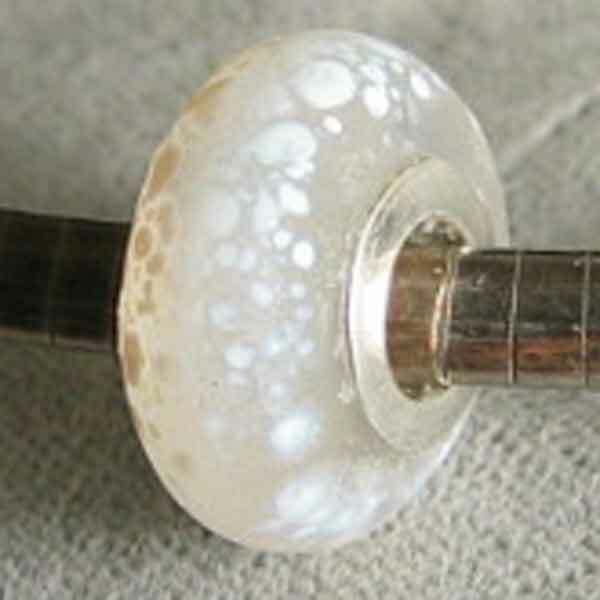 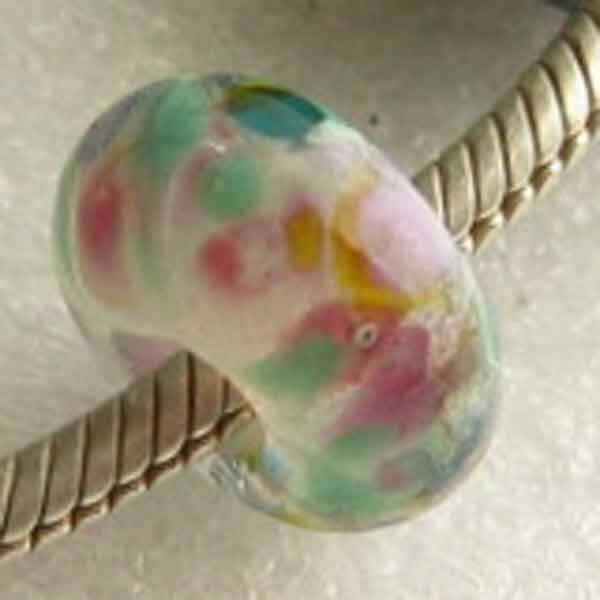 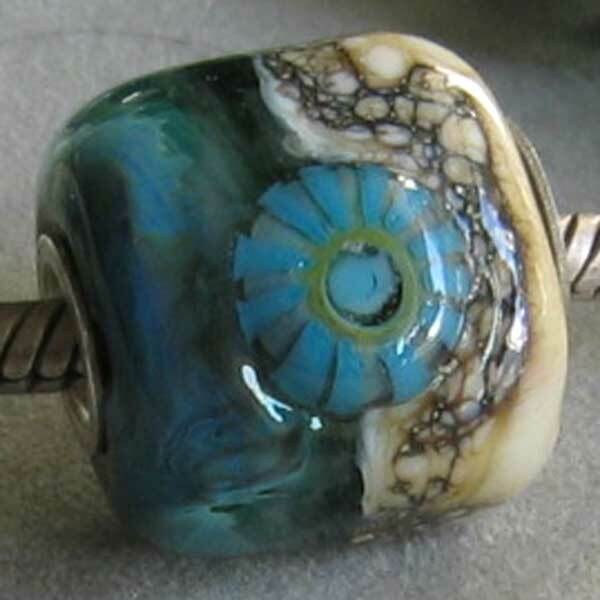 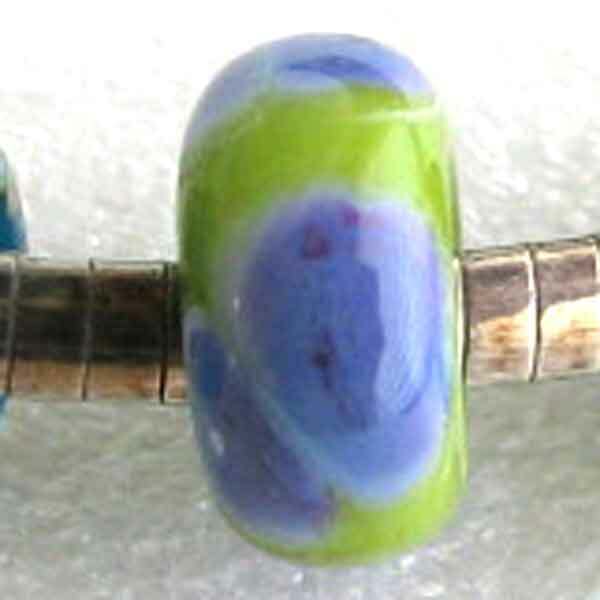 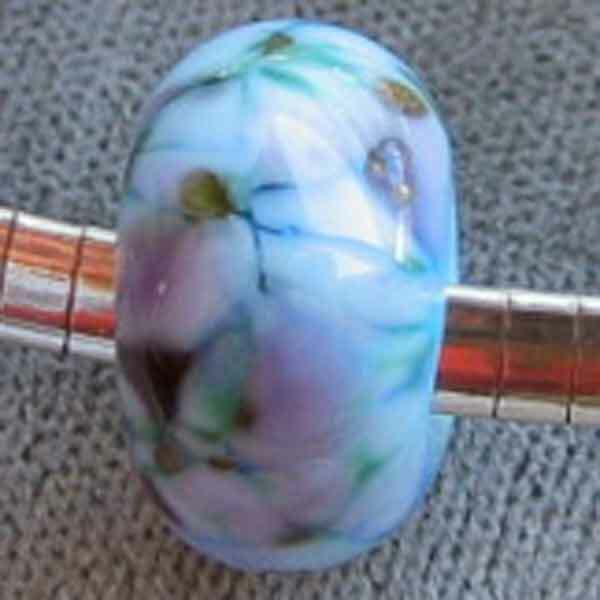 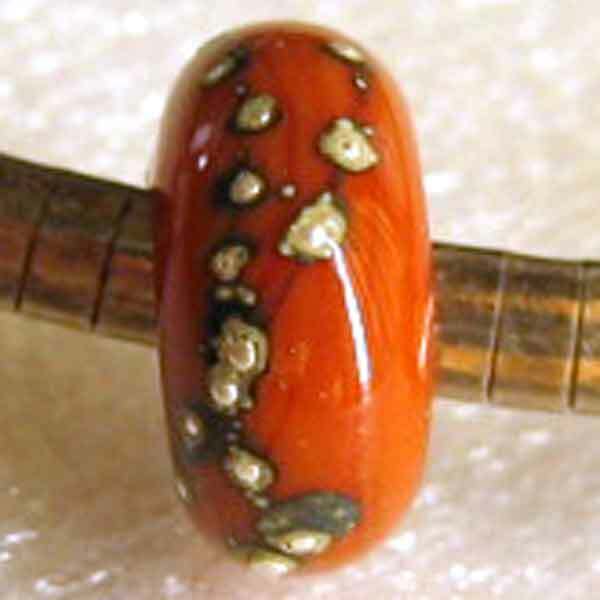 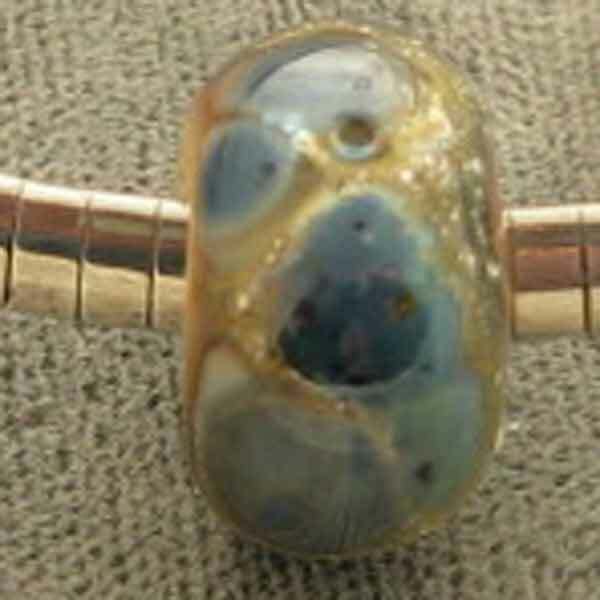 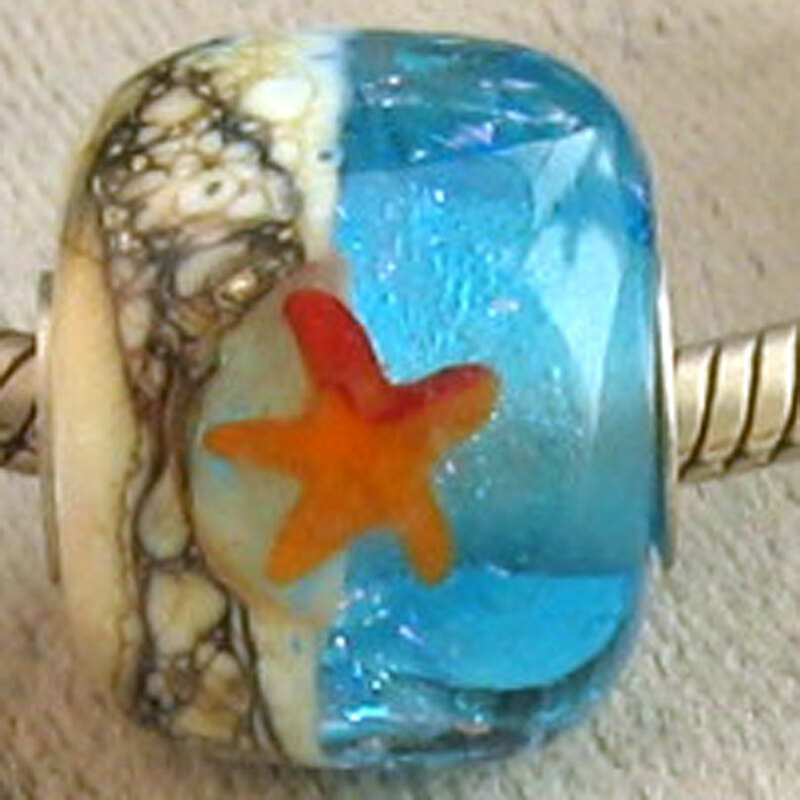 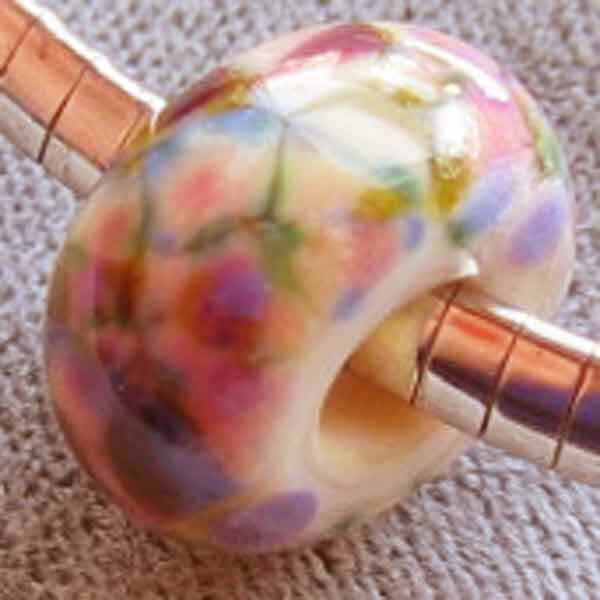 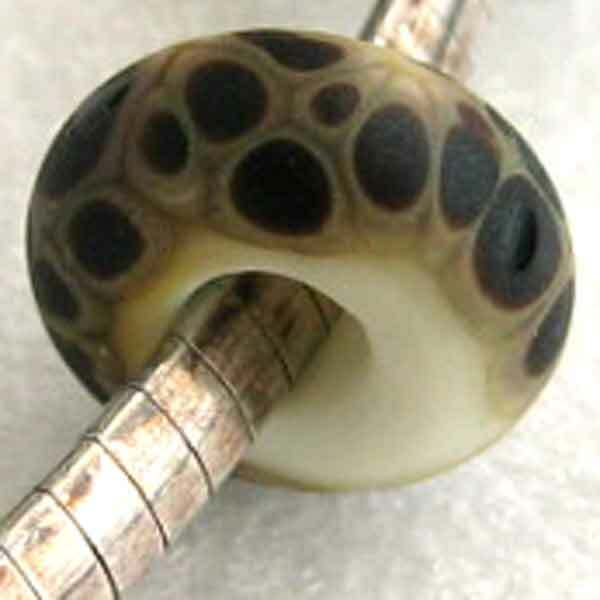 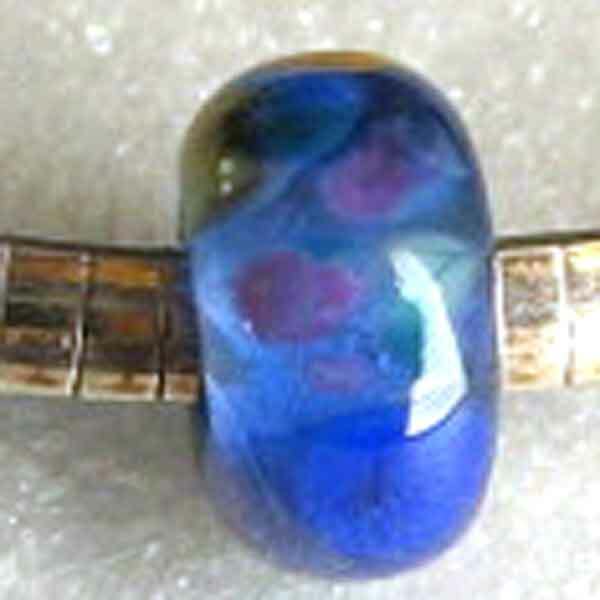 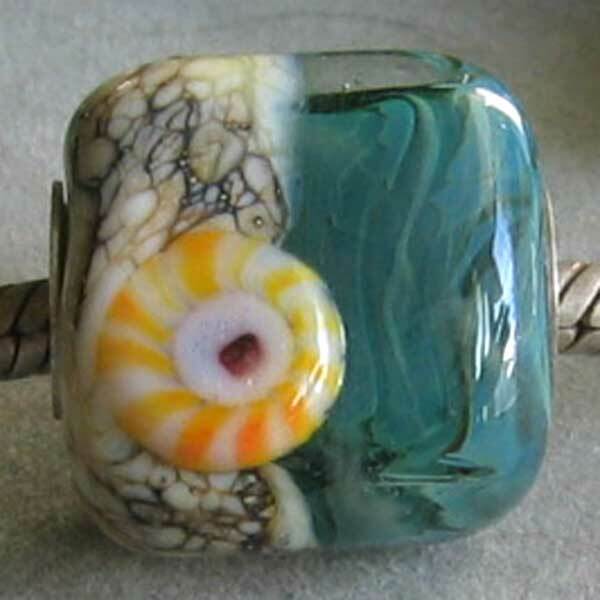 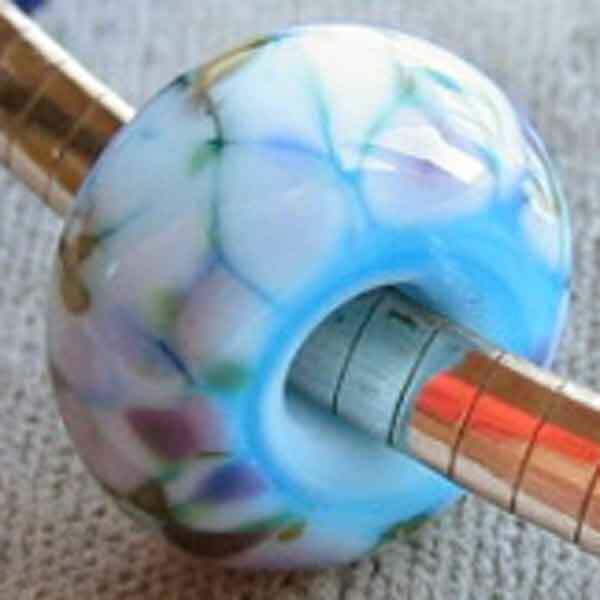 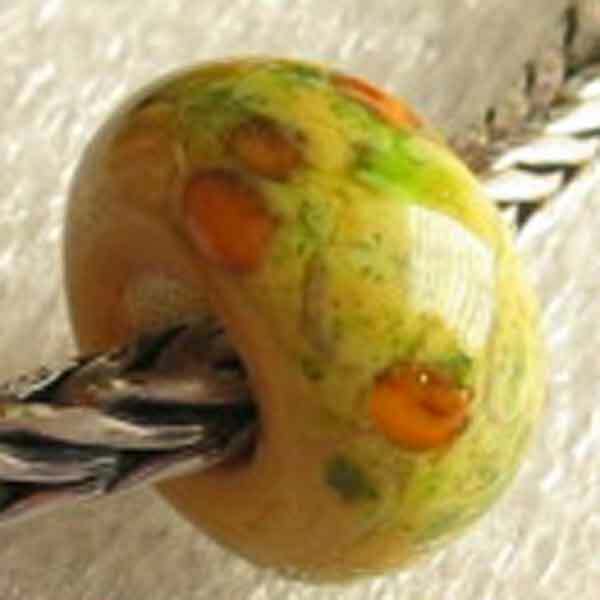 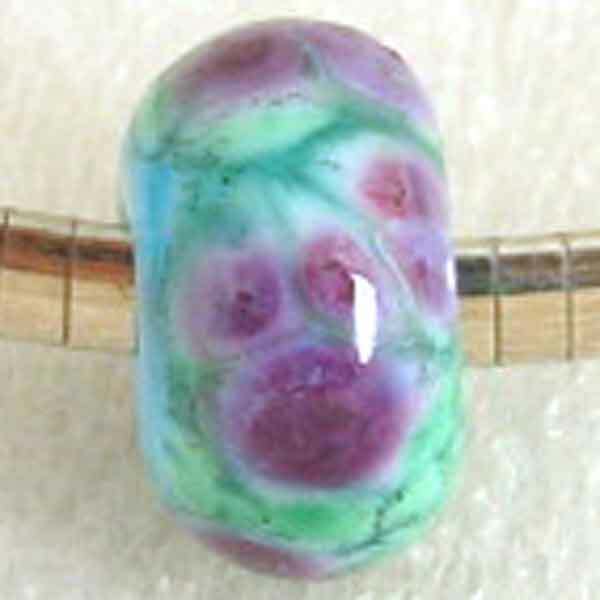 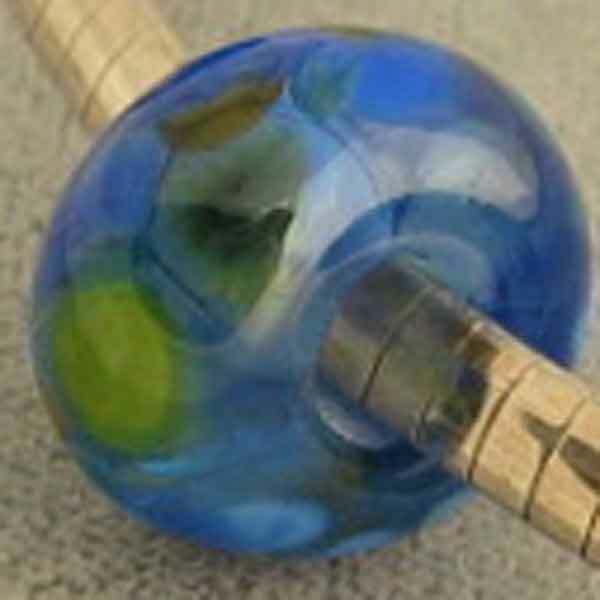 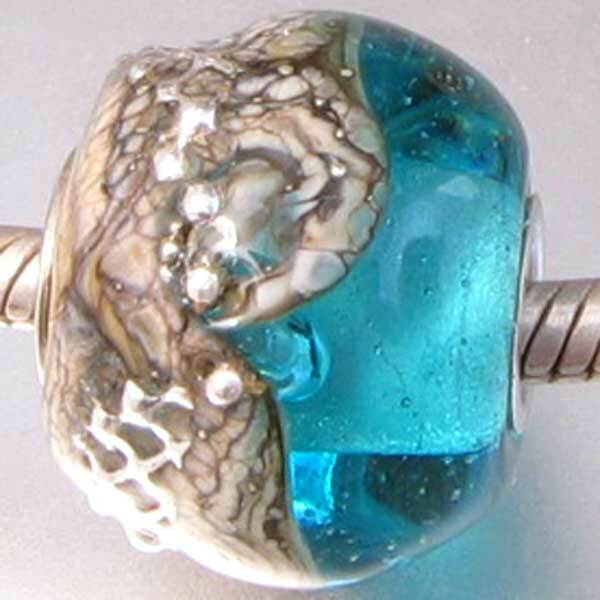 This bead is etched and has matte texture. 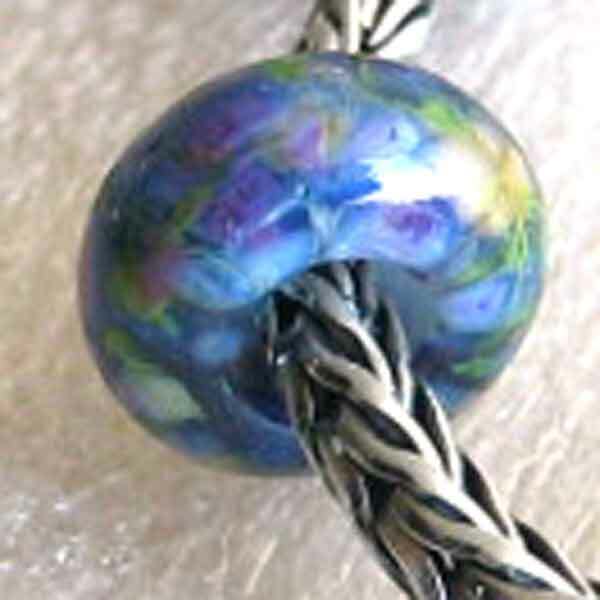 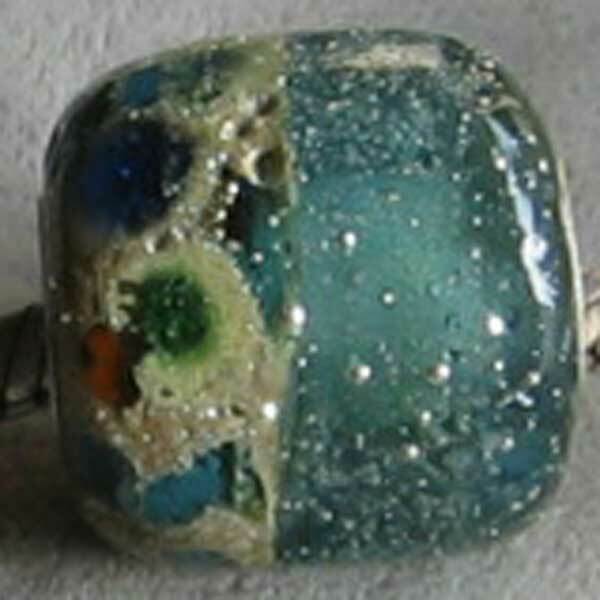 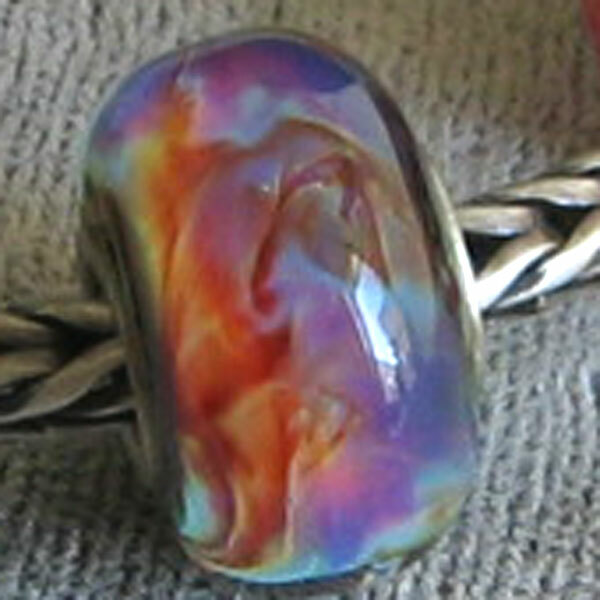 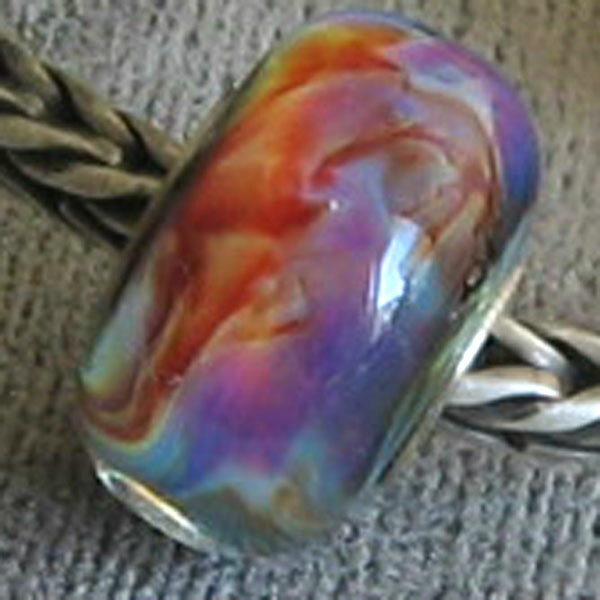 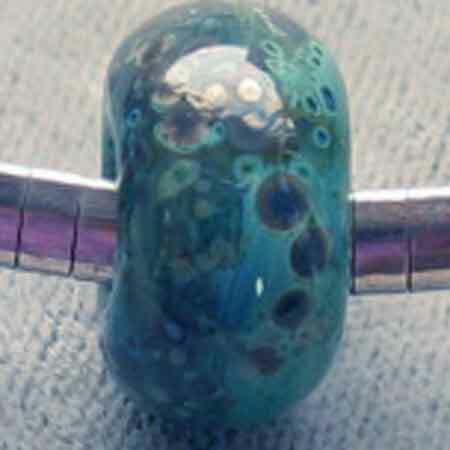 This bead has been etched and has matte texture. 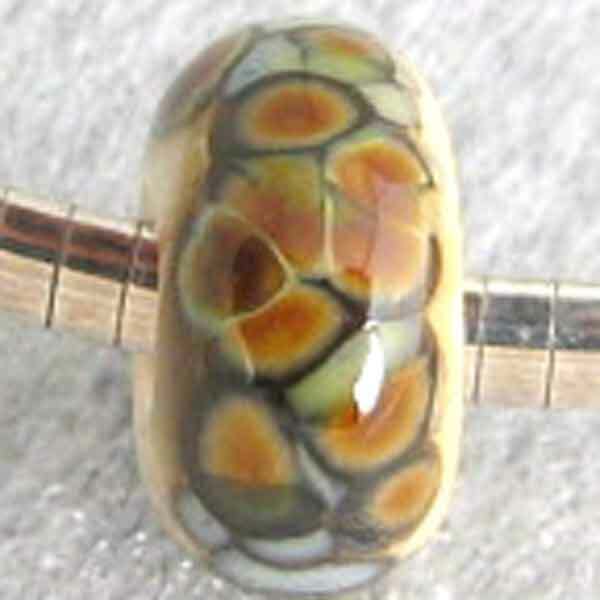 "Leopard skin Jasper" Please note this is made with glass. 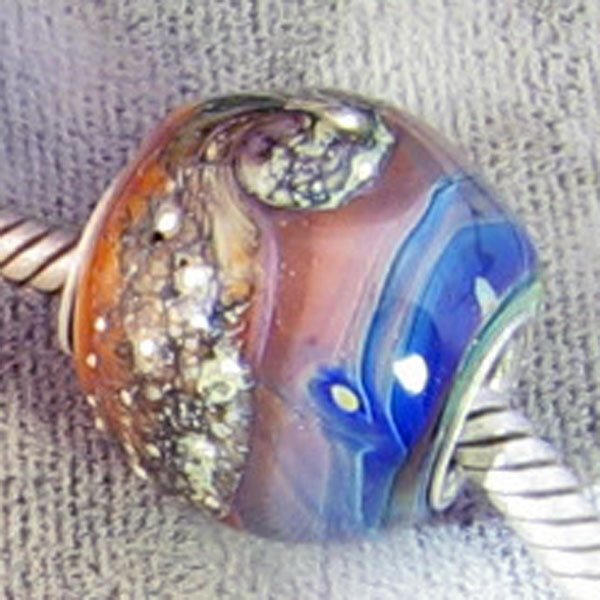 Copper Blue with silver foil. 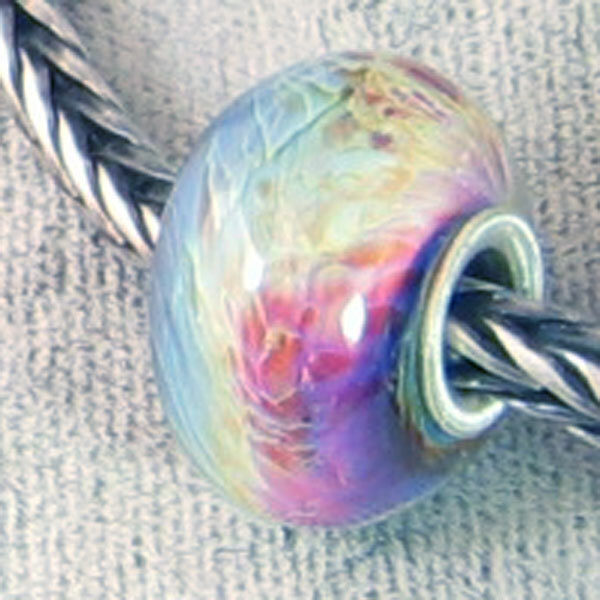 This Page Last Update: December 07, 2017.